CBS is planning another crossover for February Sweeps. 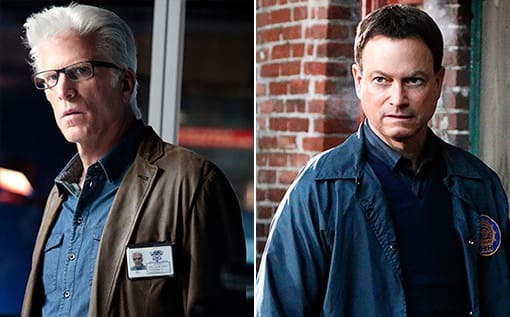 Following last season's merging of NCIS: LA crossover with Hawaii Five-0, the network has confirmed that Detective Mac Taylor of CSI: NY will jet over to Las Vegas this winter and meet up on a case with Ted Danson's D.B. Russell. The event will kick off on February 6, as the original CSI airs an episode that features Gary Sinise's character arriving in Sin City to surprise his girlfriend… only to learn she's gone missing. He teams up with Russell to find her.